Mocha loved to have her nose rubbed every morning as I got ready for work. She would sit in my lap and tap my arm if I stopped rubbing her nose. This is what I will miss the most about Princess Mocha. Rest In Peace. 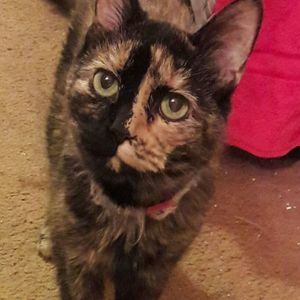 Life Stories provides friends and families a forum to post their favorite stories and memories of Princess Mocha Ratliff ensuring the precious experiences are never forgotten. Share joyful times, post a photo that captures the moments you cherish, and allow others to reply, relive and remember.